Naturally (wild) fermentation. We often forget about the fact that our health, immunity and well-being is highly dependent on the vast army of the useful bacteria, our invisible little friends. They tireless participate in our metabolic processes by ceaselessly transforming various nutrients in the forms more suitable for our body. The result of their work we present as naturally fermented vegetables juices. 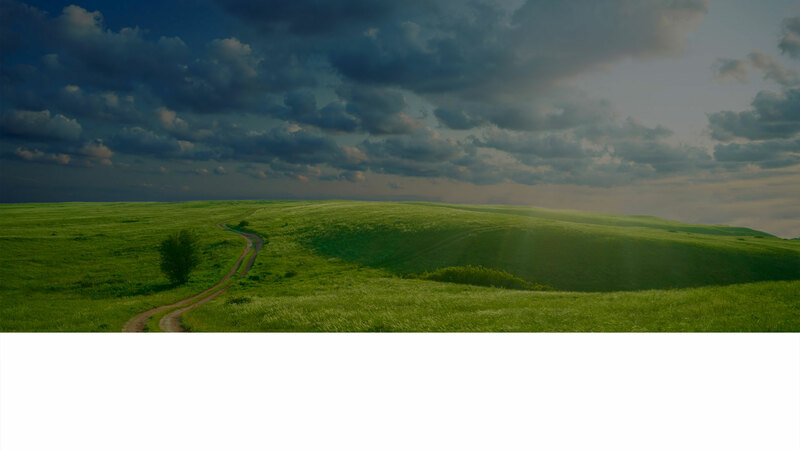 We believe in interconnectedness among our health, the natural living and harmonious relationships. Our goal is to provide the people of today with all the benefits that the ancient traditions of the wild vegetable fermentation has to offer, only in a more convenient form. 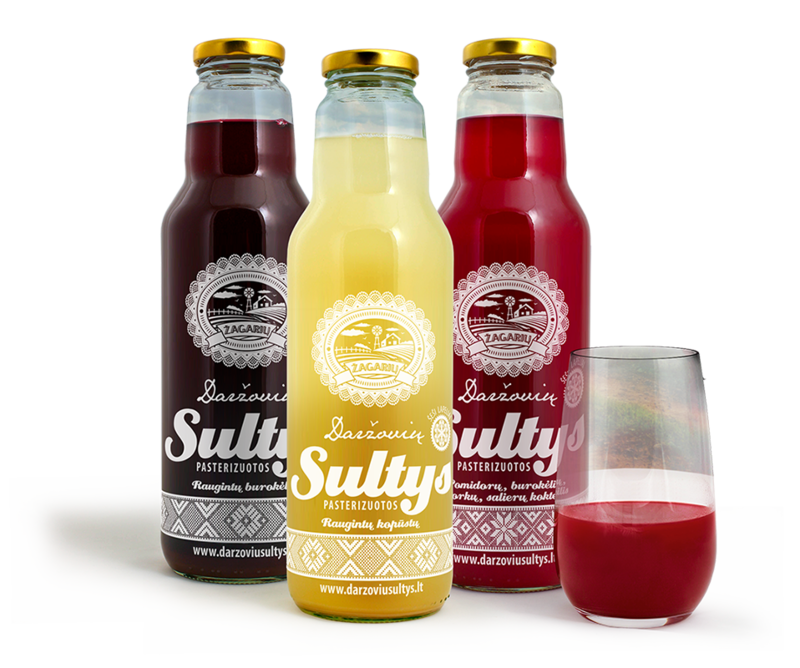 The production of the juices is based on the wild fermentation process and the cold-press technology. Our products are made only from vegetables grown in a soil. We use no additives, no preservatives and no artificial flavors. Pasteurization is used as a necessary means to stop the fermentation process. 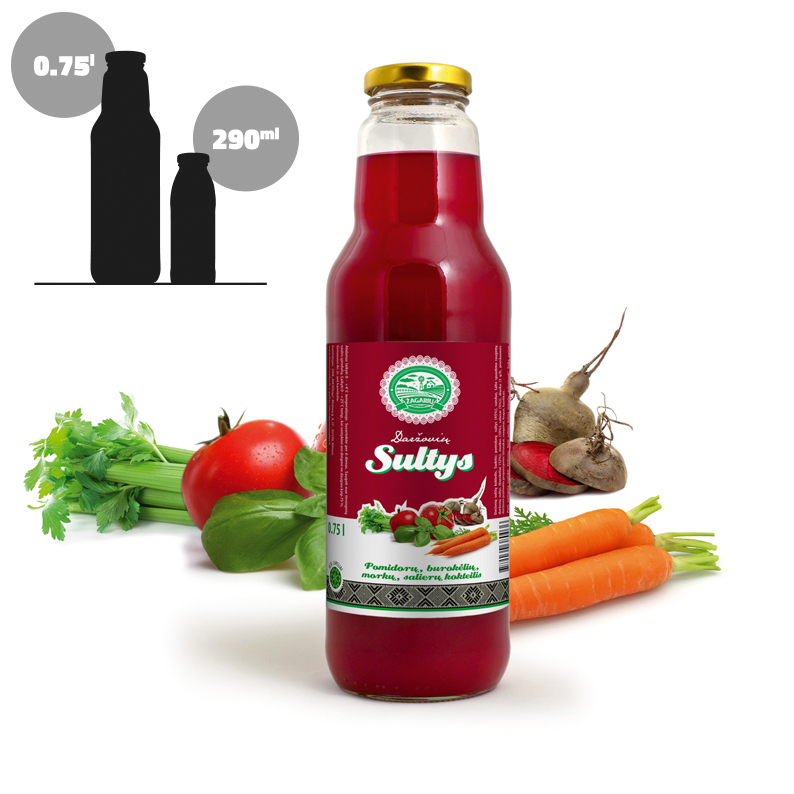 Production in small batches makes it possible to maintain the content of vegetable juices as natural as possible, although their color and taste may vary slightly. The company “AM Viltėja” UAB was founded in 2002. 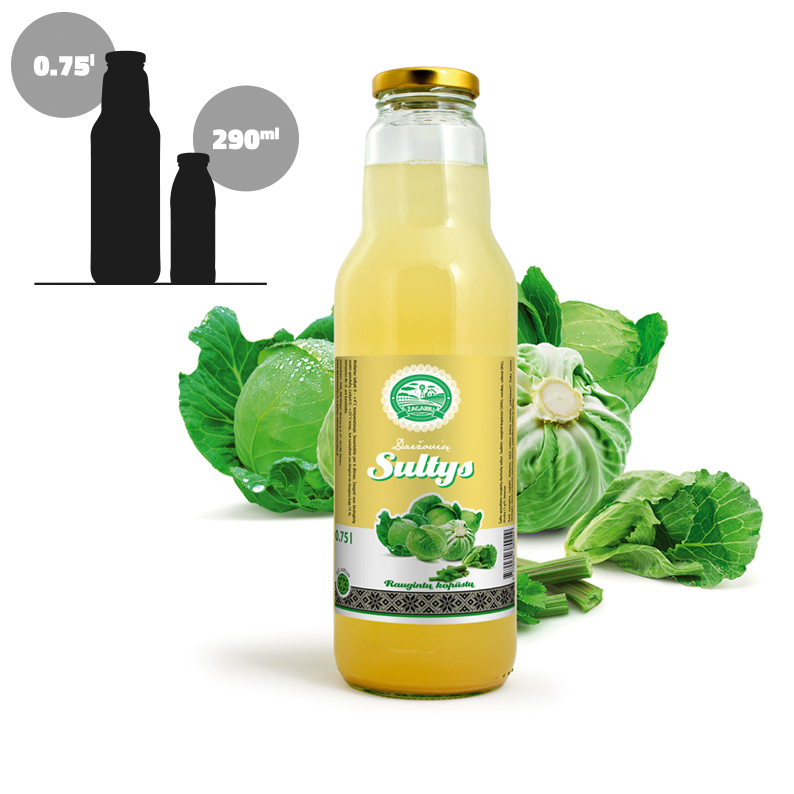 Production of the naturally fermented juices was started in 2011. Our cooperation with the Lithuanian supermarket chains MAXIMA and IKI started in 2012. 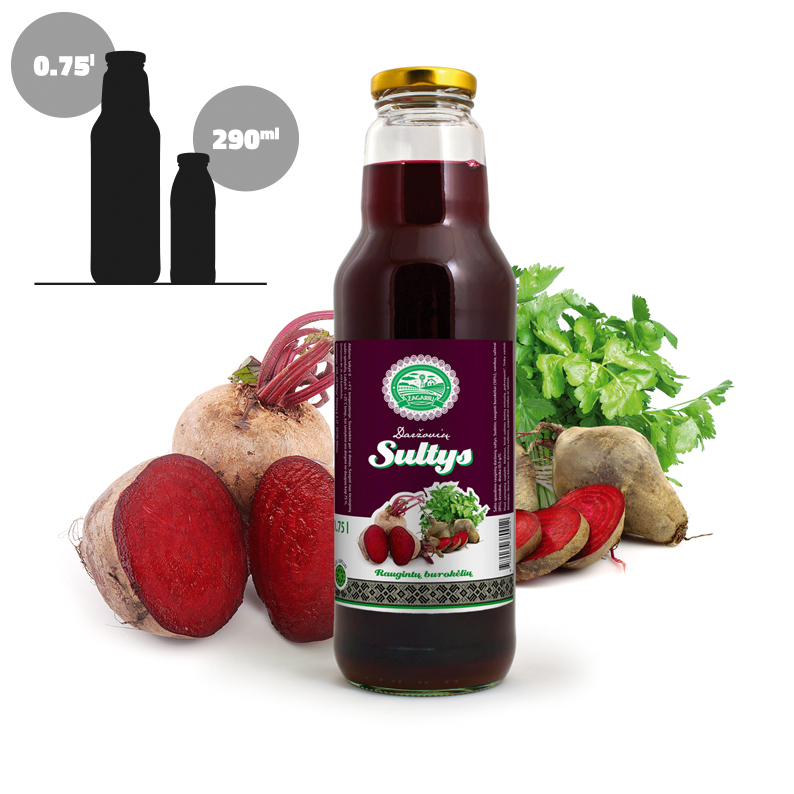 Our cooperation with the supermarket chain RIMI started in 2018.
naturally fermented beetroot (50%), water, celery (8%), garlic, salt. 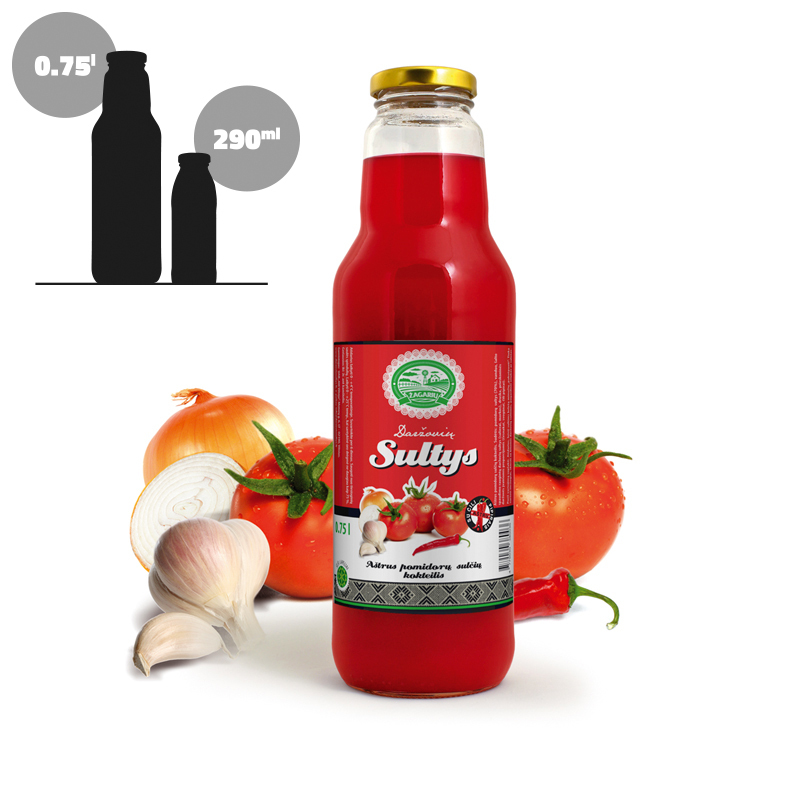 tomato juice, naturally fermented vegetables (carrots, celery, onions, garlic), chili pepper, salt. naturally fermented cabbage, celery, caraway, salt.